Marijuana possession played key role in police shooting of Keith Scott. Charlotte-Mecklenburg Police Chief Kerr Putney discusses the video of the fatal shooting on Saturday in Charlotte, North Carolina. Possession of marijuana played a significant role in the police killing of Keith Lamont Scott on Tuesday. 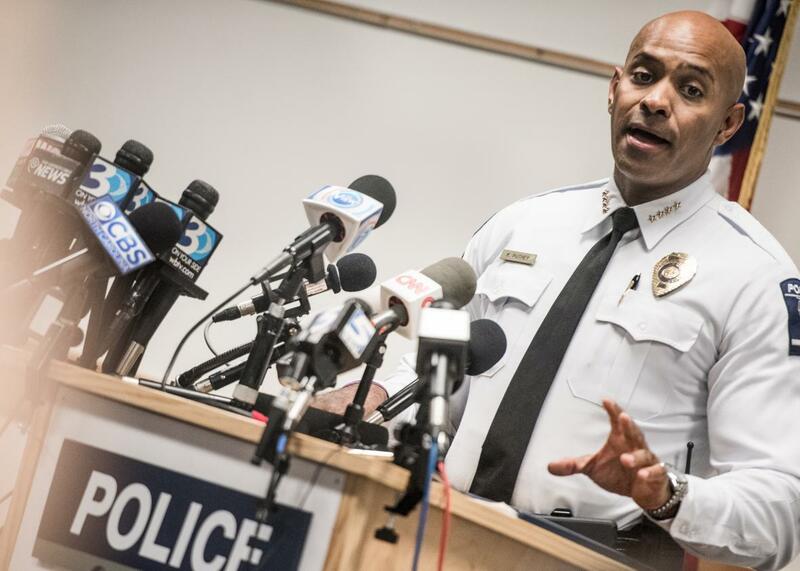 Charlotte-Mecklenburg Police Department Chief Kerr Putney said during a news conference that officers were trying to serve a warrant for someone else when they spotted Scott rolling “what they believed to be a marijuana ‘blunt’ ” in his car. At first they allegedly didn’t think much of it, until they saw Scott had a weapon and thought, “uh-oh, this is a safety issue for us and the public,” Putney said. Putney spoke at a news conference in which he announced police would release body-cam and dashcam videos of the encounter. The police released photographs of the gun, ankle holster, and joint he had on him at the time of the shooting. “It was not lawful for [Scott] to possess a firearm. There was a crime he committed and the gun exacerbated the situation,” Putney said. The press conference marked the first time law enforcement had mentioned the detail about the marijuana. “Due to the combination of illegal drugs and the gun Mr. Scott had in his possession, officers decided to take enforcement action for public safety concerns,” notes the statement. Putney continued to insist that Scott “absolutely” had a gun, although he acknowledged that wouldn’t be clear from the released video. He also stood by earlier statements that the shooting was justified and officers acted lawfully. “Officers are absolutely not being charged by me at this point,” he said. The official police statement says officers “gave clear, loud and repeated verbal commands to drop the gun,” but Scott “refused to follow the officers repeated verbal commands.” And then Scott “exited the vehicle with the gun and backed away from the vehicle while continuing to ignore officers’ repeated loud verbal commands to drop the gun.” That was seen as “an imminent physical threat” and an officer opened fire. A lab analysis “revealed the presence of Mr. Scott’s DNA and his fingerprints” on the gun that was loaded, notes the police statement.